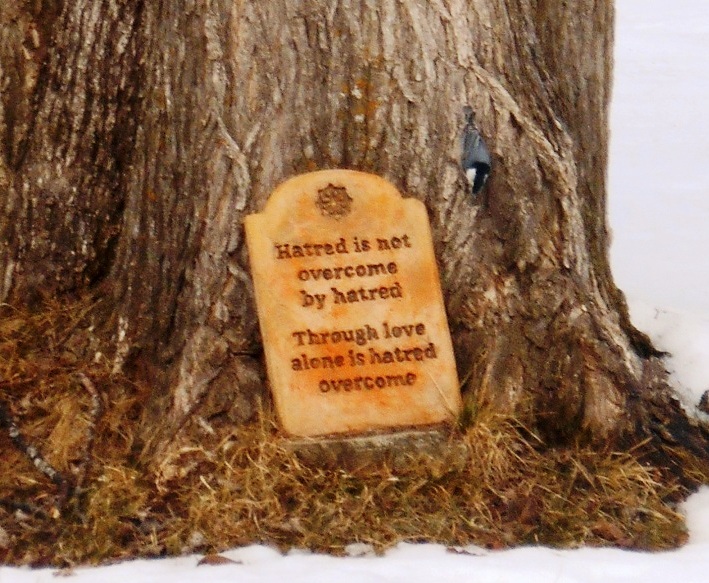 As we patiently welcome back spring to the Ottawa Valley, (pausing to gaze out the window), we simultaneously, welcome back our local exemplary sisters and monks as they emerge from their three month winter retreats at Sati Saraniya and Tisarana http://tisarana.ca/ , respectively. LP Viradhammo recently spoke at Quaker House and Ayya Medhanadi will be leading next weekend’s OBS meditation events taking place on Friday April 15th and Saturday April 16th. Dana offerings, going to the sisters at Sati will be gratefully accepted at both activities. Sunday April 10th – OBS Spring Social contact Ann Waters for more details. Friday April 15th – Evening Meditation with Ayya Medhanadi −7:30 pm at Quaker House, 91A Fourth Ave, Ottawa (in the Glebe). 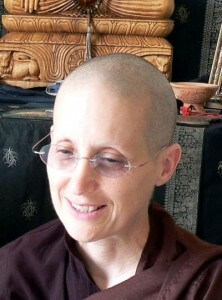 Ayyā Medhānandī Bhikkhunī, a Canadian by birth, is the founder and guiding teacher of Sati Sārāņīya Hermitage , a forest monastery for women in the Theravāda tradition. “There are eight lessons in this course covering selected topics from the Abhidhamma that are most practical and relevant to daily life. 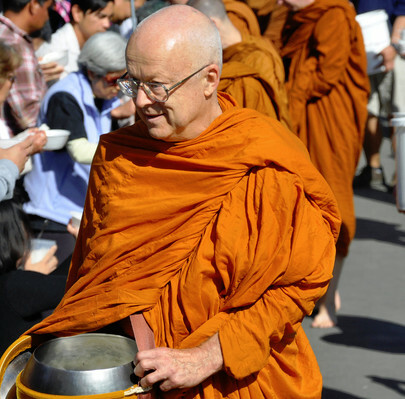 Though it is called a “Practical Abhidhamma Course,” it is also a practical Dhamma course using themes from the Abhidhamma. The following is the Practical Abhidhamma website address with gratitude to OBS member, Chau Luang. When asked for a favourite podcast to bring to this newsletter, Nissanka Pussegoda recommended the following dhamma talk, Training the Commentator by Thanissaro Bhikkhu.